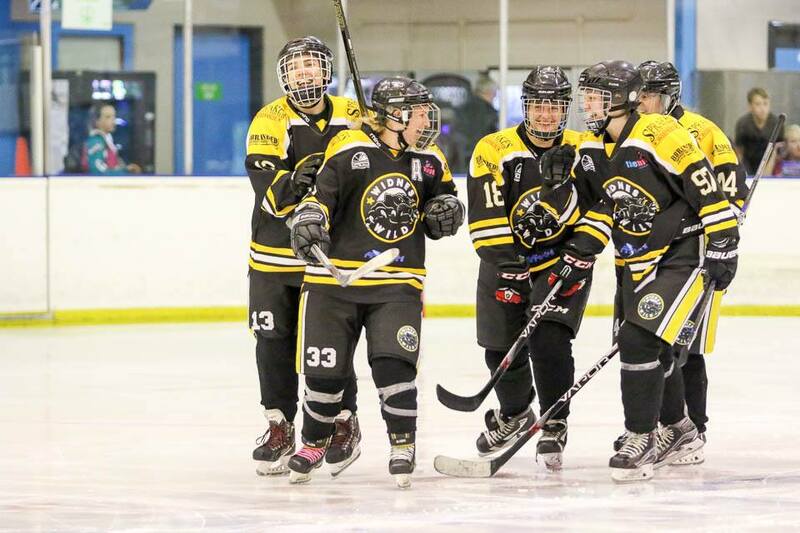 The Widnes Wild women’s team ended the season on high note as they finished runners up in the annual British Women’s Ice Hockey Friendship Tournament which was held at Swindon over the weekend. The tournament – now in its 21st year – involves women’s teams from different leagues from across the country and even had a team from Finland taking part. This year there were 12 teams in the senior tournament and 4 teams in the under 16s competition and, with each team playing all the other teams in a preliminary qualifying group before proceeding to semi-finals and final, that meant an eye watering 90 games had to be fitted in over the two day event. Obviously, having staged this tournament for many years now, they have got this down to a fine art now at Swindon. The group games are just 12 minutes each in duration and the next game follows immediately afterwards with a brief pause for ice cutting at certain points during the day. Over the course of the Saturday – and the early part of Sunday, all then teams playing each other and the top four in the group go on to play in semi-finals and then a final – played with slightly longer match times – on the Sunday evening. This year, the teams in the senior women’s competition were: Widnes Wild Women (WPL), Basingstoke Bison Ladies (S1), Sheffield Shadows (N1), J Ilves Naiset Ladies (Finland), Bracknell Firebees (S1), Swindon Topcats (S1), Blackburn Thunder (N1), Oxford City Midnight Stars (S1), MK Falcons (WPL), Coventry Phoenix (N1), Streatham Storm (WPL), Swindon Topcats (WEL). The Wild women made a slow start to the competition but, by the end of the Saturday, were in 5th place in the group with 3 wins and 1 draw from their 6 games. The Sunday went even better as they went unbeaten through the rest of the group stage, winning 2 and drawing 3. Draws against group leaders Streatham and 4th place Milton Keynes saw the Wild women manage to usurp the Falcons team for 4th place and book their place in the semi-final. 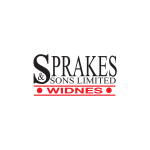 The semi-final saw the Wild women take on Streatham – who had beaten them in the WPL Play Off semi-final two weeks beforehand and who had gone right though the group stage of the Swindon tournament unbeaten. It was an end to end game throughout and Streatham were, obviously favourites, but the Wild women managed to notch up a hard fought 1-0 victory – with the only goal of the game coming from Emma Pearson, assisted by Katie Hills. The final was played against the Swindon Elite team, who not only had home advantage but were also the highest ranked team in the tournament league-wise so it was not a huge surprise that they went on to win the game 3-0, although all three goals came in the final minutes of the game – when the Widnes team were, obviously, beginning to tire. The Wild women still had cause to celebrate, however, as they won the Hockey Skills competition! This was held on the Saturday morning as a precursor to the group games and was in the form of a relay race between teams with each leg using a particular skill. It involved fastest skate from the goal line to the far blue line (with Amanda Williams skating for the Wild women), shooting the puck at 4 targets (Sophie Sinclair-Reeks hit 2 out of 4), stick-handling (Katie Hills) and netminders skating & shooting on goal, in which Wild’s Stephanie Drinkwater was the only netminder to score! The Wild women were paired against the Swindon Elite team in their heat – which gave them very good competition to race against – although the final result was decided on an overall points basis rather than head to head performances. The full Wild women’s squad for the tournament was: Emma Pearson – C, Leen de Decker – A, Amanda Williams, Lucy Kirkham, Savannah Sumner, Catherine Bowen-Fell, Beckie Elliot, Abi Hayes, Katie Hills – A, Sophie Sinclair-Reeks, Megan Bowen-Fell, Sarah Roberts, Stephanie Drinkwater – netminder. Don’t forget that there is still competitive ice hockey at Silver Blades Widnes over the summer months! The Riverside Raiders have a challenge game against Telford on Sunday 2nd July and then play their big Summer Classic decider against Blackburn Buccaneers on Sunday 23rd July. Both games face off at 4.30pm and admission is free. The Widnes Wildcats continue their Summer Cup campaign with home games on Sunday 16th July vs Kingston Cobras, 30th July vs Grimsby Lightning and 6th August vs Cleveland Comets. Once again, all games face off at 4.30pm and admission is free.